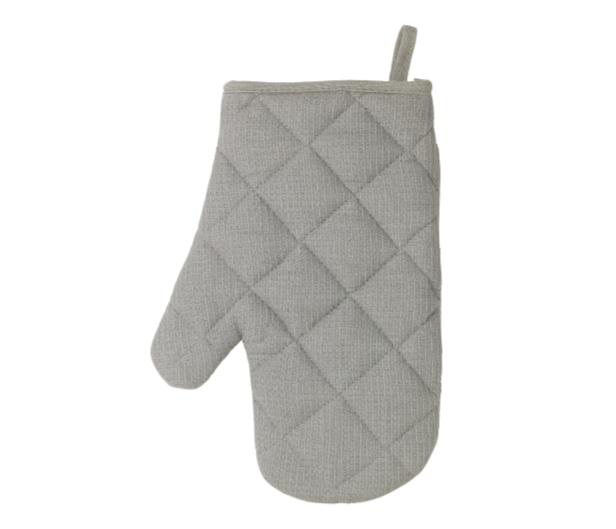 Pot holders, oven mitts, and oven gloves are standard items in every kitchen. They come in all shapes, sizes, design patterns, and materials. With that many choices, it gets hard to pick the right one for your needs. Here, in this article, we’re sharing with you our top 3 picks that you could try. Cotton and polyester may not provide 100% protection, but silicone certainly does. This pair of oven mitts is 100% made of FDA approved silicone. 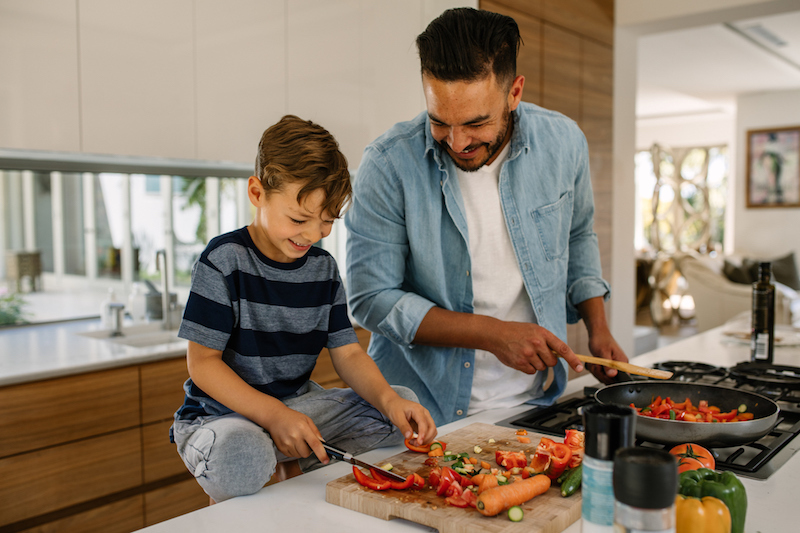 It’s BPA free, and 100% safe for you and your family. Inside of the glove is 50% cotton and 50% polyester, which provides with extra comfort and safety. Sili Mitts are heat resistant up to 482 F / 250 C, so you can make sure you’re 100% protected. They’re also waterproof, so they’ll be able to protect your hands even from boiling water and steam. As for cleaning, just wash them with warm soapy water, dry them, and hang them for the next use, many of the reviews also say that these clean well in the washing machine too. This pair of high-quality oven mitts is just $20.97, and you can get them on Amazon. And good enough is good enough. That’s the case with Iris oven mitt from IKEA. The outer layer is made of 100% cotton, while the middle layer is made of 100% polyester. You can wash it in a machine, so it’s very easy to keep it clean. 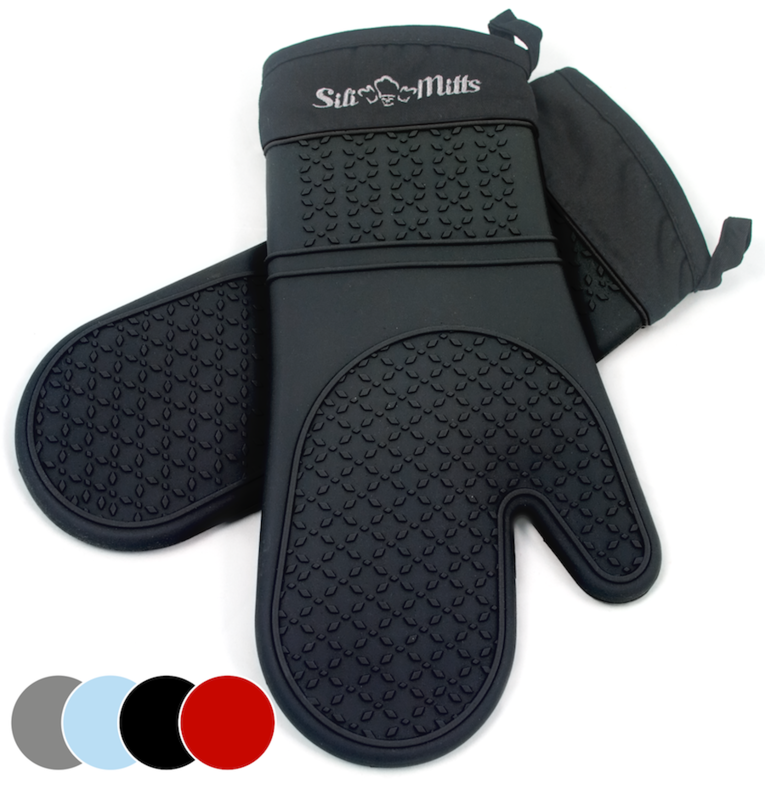 It will protect your hands from heat very well, but don’t expect too much protection from very hot pots. In the end, you get what you pay. And for $2.99 per mitt, you’re getting solid value. If you enjoy the classic country style and charm, then this set might be what you’re looking for. There are 4 pieces in a set, and they come with a classic gingham print. They’re made from 100% cotton and can be washed in a machine. Of course, cotton will not be 100% protective in all cases, but this set will look perfect in your kitchen. It’s also a perfect gift for anyone who loves and enjoys the country style. The entire set is $21.99, and you can get it on Wayfair. 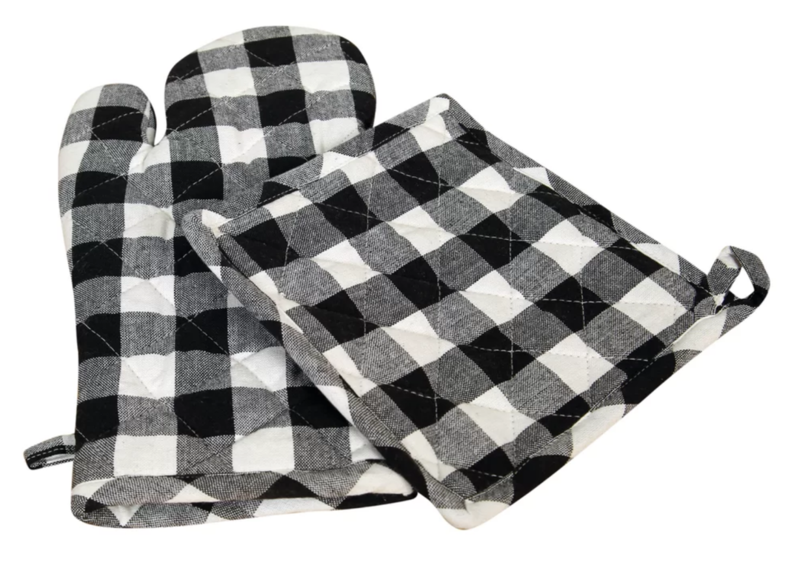 Heat Resistant oven mitts up to 482 F/ 250C. Silicone part is waterproof - no hot water burns or steam burns. Long oven mitts to cover your arms - no burns off the racks. Fits comfortably on male and female hands. Loops to hang or put in a drawer.